Algae are primordial plants with a long geological background. About 400.000 algae species are existing around the world. Most of them are belonging to the plant kingdom, which consists of seed-bearing plants, ferns, mosses, lichens and algae. Algae are constructed mostly less sophisticated without real roots, stems or leaves. There is no propagation by seed but by cell division or sporulation. Who belongs to the algae family? Particularly impressive is the versatility of algae. 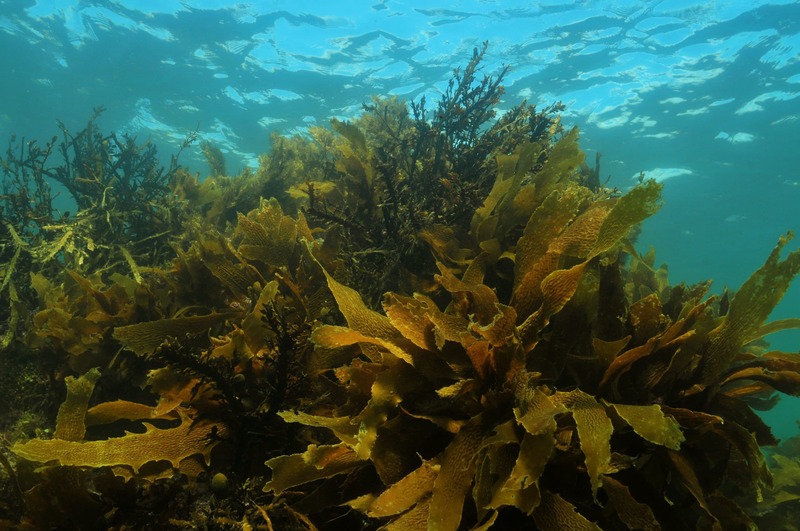 The spectrum extends from tiny single-cell organisms to massive large seaweed, which can reach the weight of a small tree. One can divide algae into highly visible multicellular macroscopic algae like seaweed and into single or few-cell microalgae, which only reach a size of less than one millimeter. They are the simplest form of algae and drift along the water (p.e. chlorella). Some of them also move by the help of a flagellum which function as buoyancy aid. Algae with several cells are more likely to have a filamentous structure. They emerge in result of cell division when daughter cells stick together. Cells are dividing in a specific predetermined way, the daughter cells remain connected. The biggest kind of algae consists of many cells and resembles seed-bearing plants or ferns. Where and how are they living? Algae are survival specialists. Even under most adverse conditions they can perfectly adjust to the environment. One can find them in salt water, fresh water, on stones or in soil. Also in extreme locations like hot springs, volcanic islands, arctic iceland or deserts they are domiciled. Most algaes colonise water of all kind: lakes, ponds, water-based paints, rivers, seas or moors. The symbiosis of algae and fungus is called lichen. Lichens are vulnerable to air pollution and can be used as indicator organisms to determine the air quality. Algae also can live on stones, rocks, old buildings or tree trunks. One can discover tiny green alga on tree trunks as a green coating which wrongly are indicated as moss. Algae is food and habitat for many animals and serve our atmosphere with oxygen. Not forgetting the central role of algaes in the carbon cycle. Algaes have the capacity to grow fast and are able to absorb carbohydrate in a very efficient way. In addition they are estimated to deliver around 50 per cent of the oxygen demand worldwide. That is because they are able to perform photosynthesis such as every tree does: Out of carbohydrate and sun power they produce biomass and oxygen!